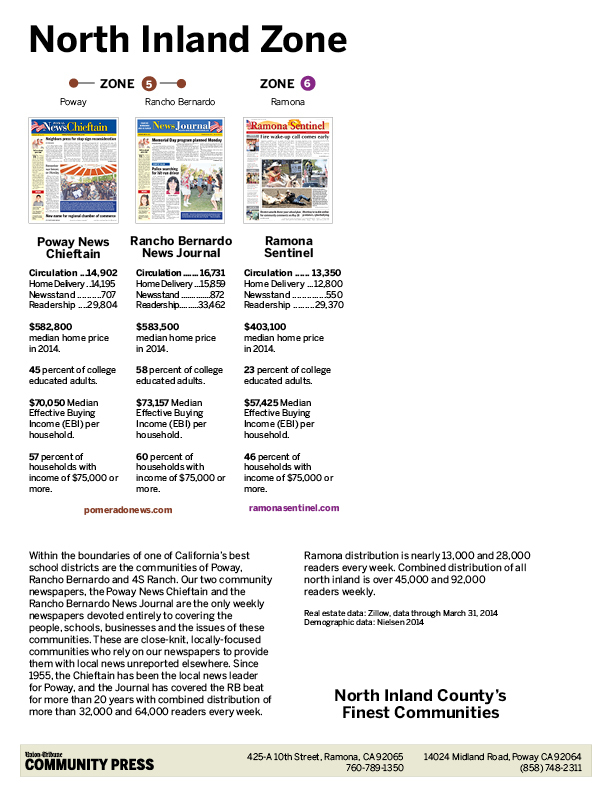 If you do not have Acrobat Reader, you can download it from Adobe's Web site by clicking here. 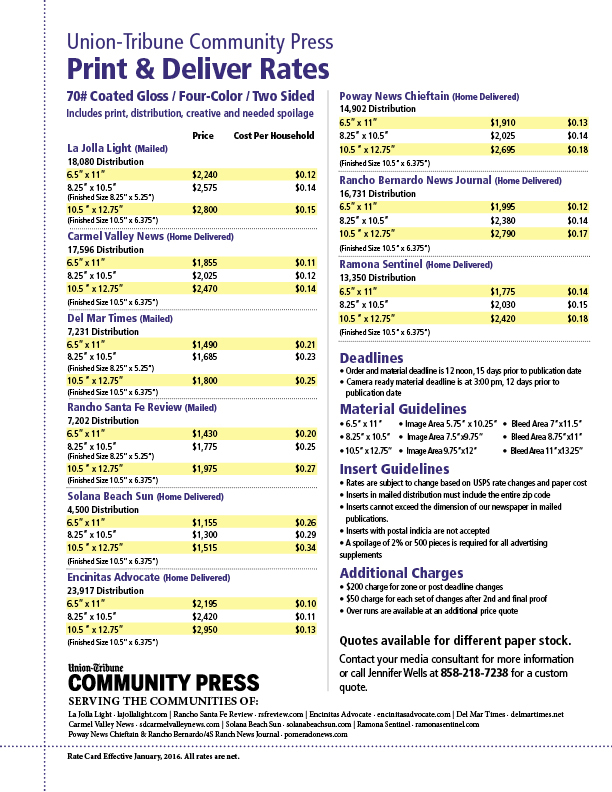 To install the PDF plugin for your browser, follow the instructions that come with Acrobat Reader. 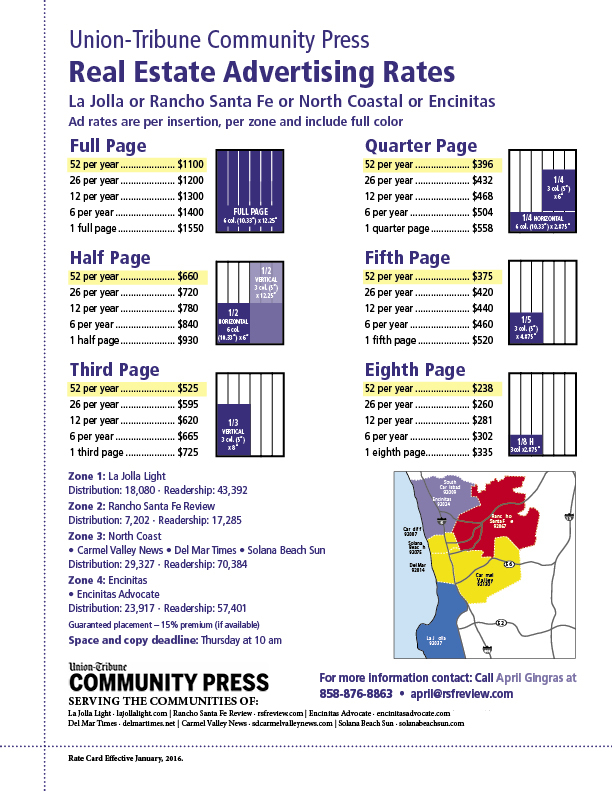 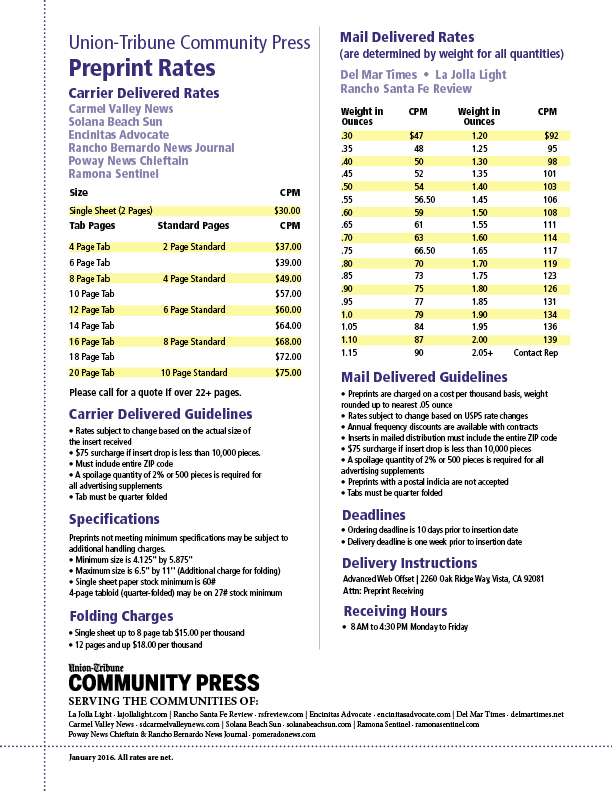 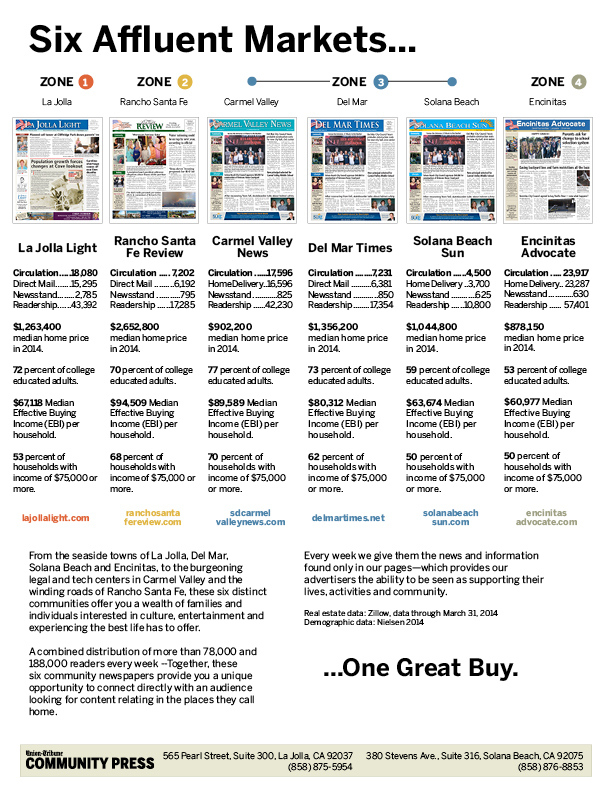 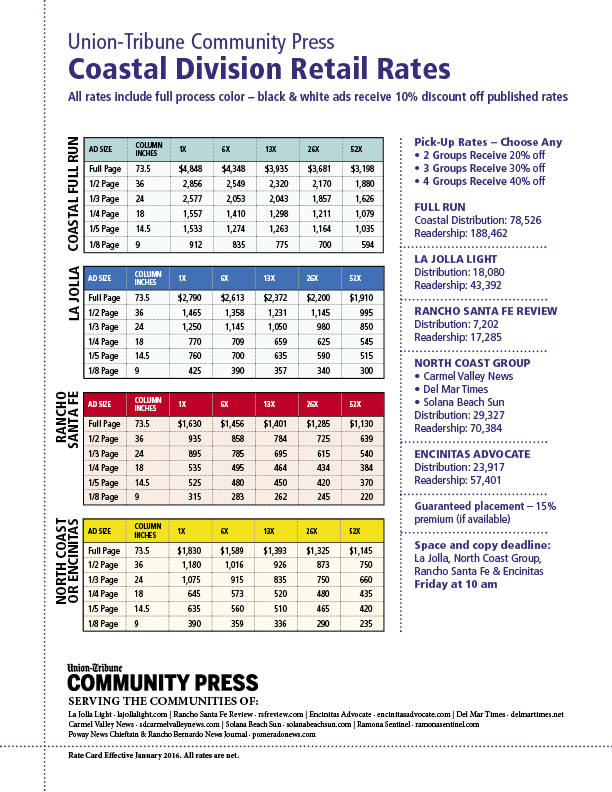 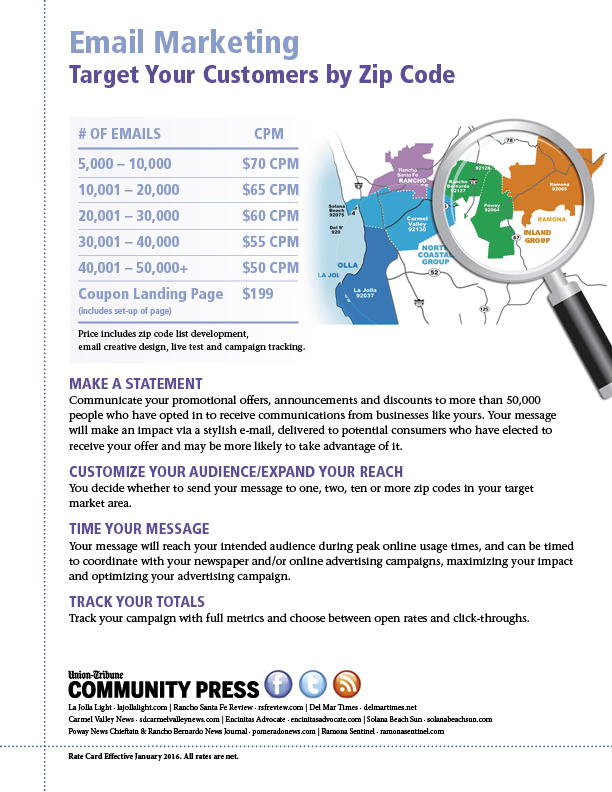 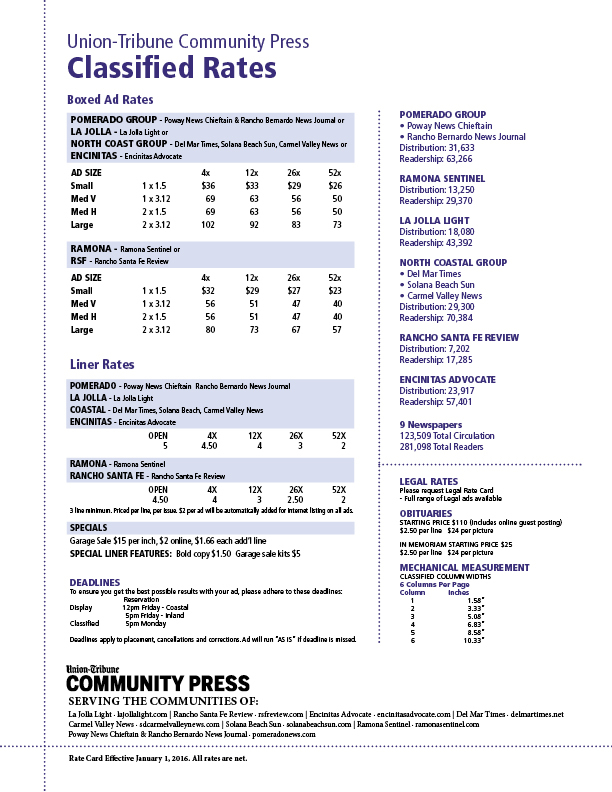 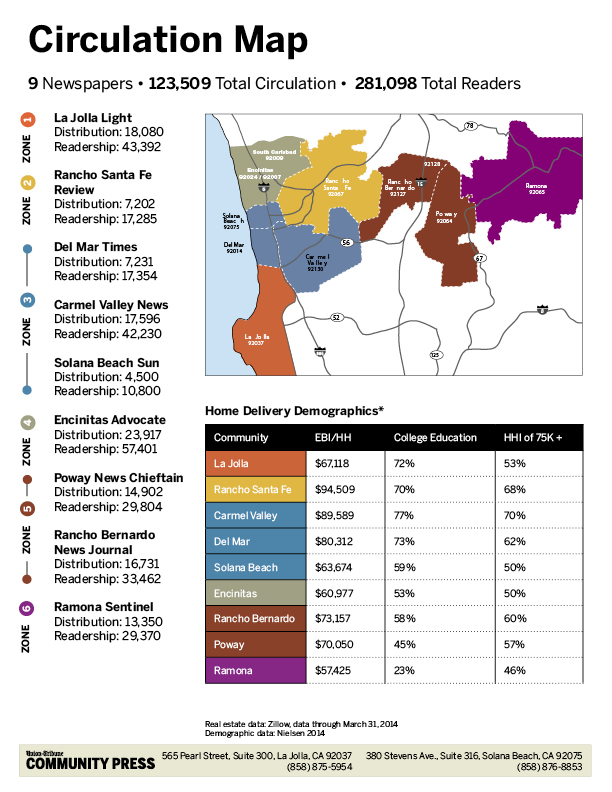 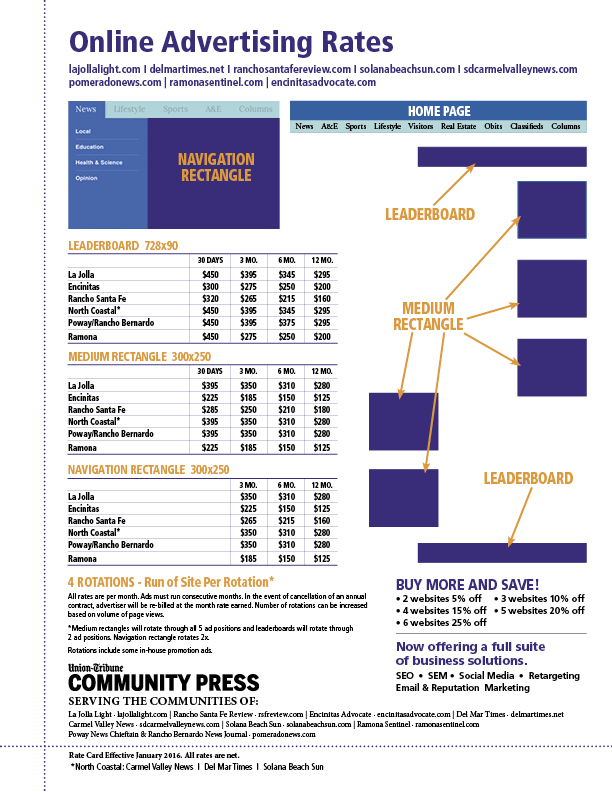 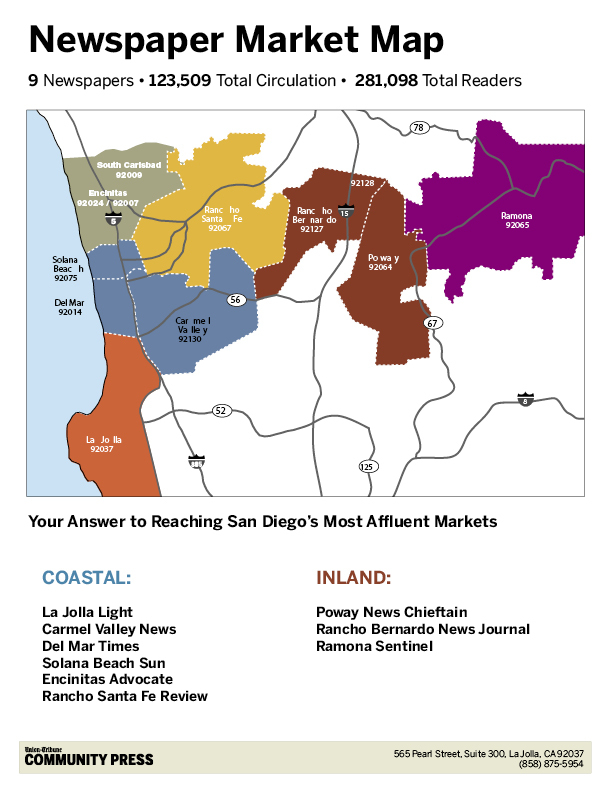 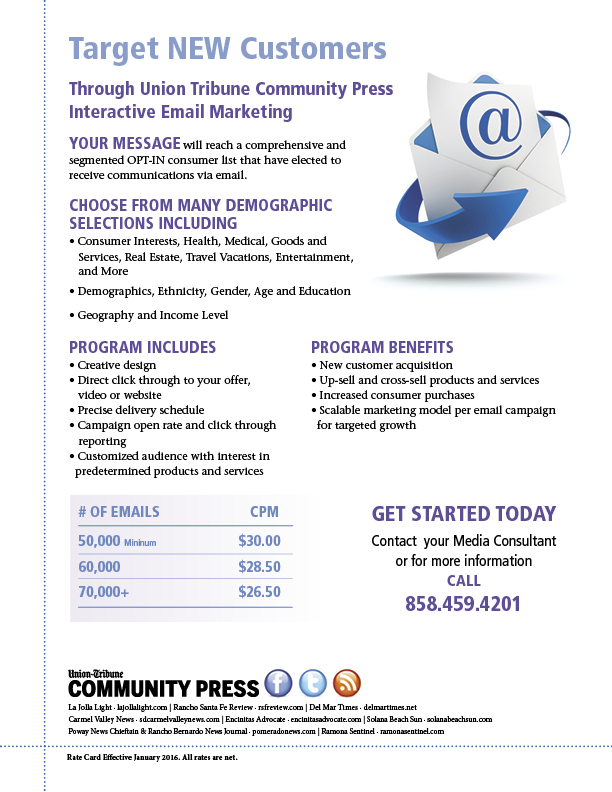 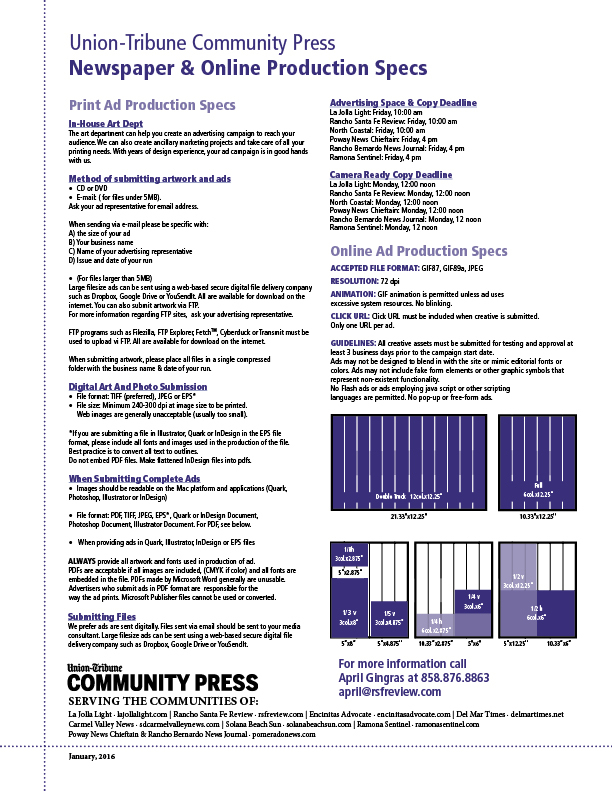 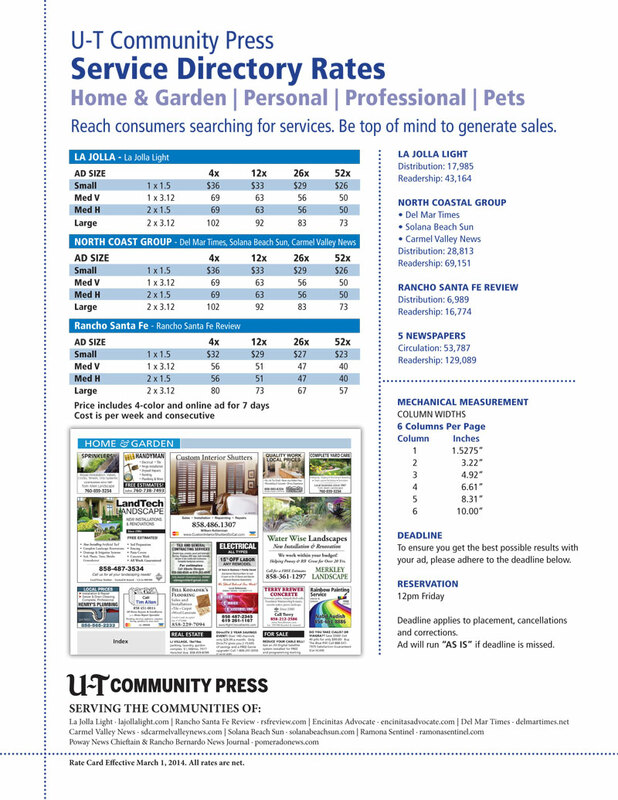 To get detailed information about advertising in La Jolla Light, Del Mar Times, Carmel Valley News and Solana Beach Sun, and combo advertising in all the UT Community Press Newspapers, call (858) 756-1403 to ask for details.